You know the search for the perfect pair of headphones is a never ending quest. They are too heavy, too bulky, don’t fit your ears, don’t sound right, don’t have the battery life… the list of what you might not like about a pair of headphones can go on and on and on and on and on and on… you get the picture! As we are in the midst of the New Year, New You project (which to be honest, could go on for many months to come if we keep pulling our finger out and going to the gym or going for a run. 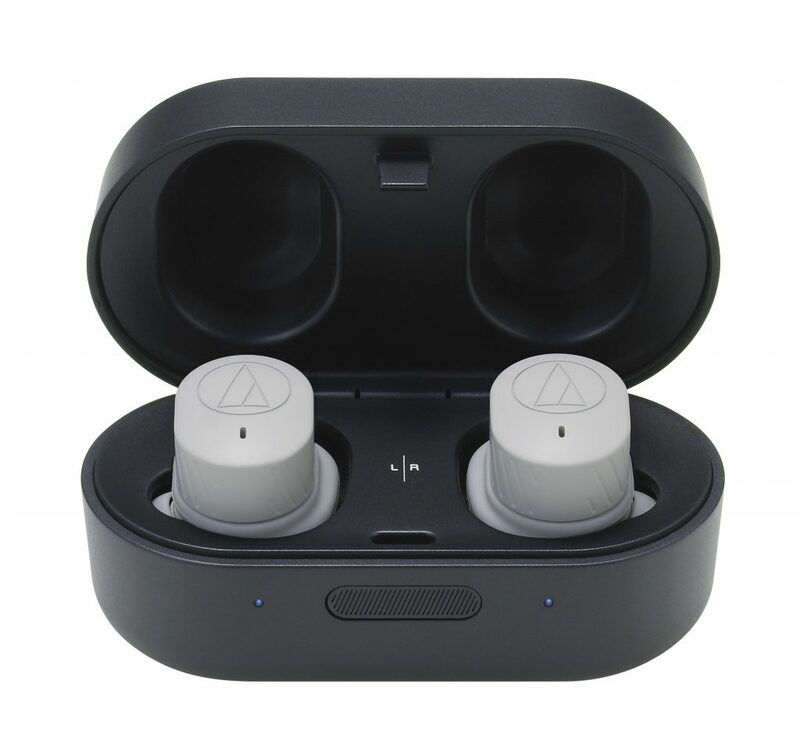 ), then we thought it would be the perfect time to bring you our thoughts on the Audio Technica ATH-Sport7TW True Wireless in ear headphones. First impressions are great – they arrive in a small parcel, which is great for the environment. Seriously, we need to start considering how much cardboard and plastic is really needed for a simple piece of tech, anyway, that’s a whinge for another day. The Audio Technica parcel looks good, and is sufficiently green for our liking! Inside, the headphones sit in a great, pocket sized container, which not only stores them, but also charges them too. The container connects to your USB charging cable and away you go. They have 3.5 hours of use in a single charge, and there’s another 16 hours waiting in the carry case if you slot the headphones back in there after use. Pretty good if you ask us. So, what else do they come with, well if like us in ear headphones never fit in your ears then this is the dream kit. 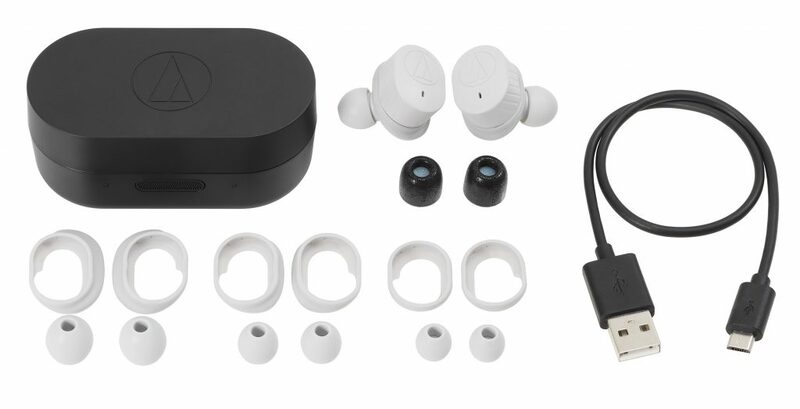 With the Audio Technica kit is a full range of different fitting pieces for the earpieces, excellent if some fit, some don’t or if like us, one ear is a different size to the other. Yes that’s right, we said it, the inside of our ears are different sizes… it’s not uncommon, some other body parts are different sizes on different people. Let’s just leave this here, right now, ok? Get your minds out of the gutter folks! The real test for us was how they fit, when we starting running and of course sweating in them. All our previous experiences of in ear headphones left us, every now and again, having to readjust to make sure we didn’t lose one. HOWEVER, these stayed in and were comfortable for a whole run. This was a sensational moment for us. If you like listening to music or a podcast whilst you exercise, then these could be the headphones for you. They are amazing at staying in your ears (which you think should be a key factor in producing in ear headphones right?) 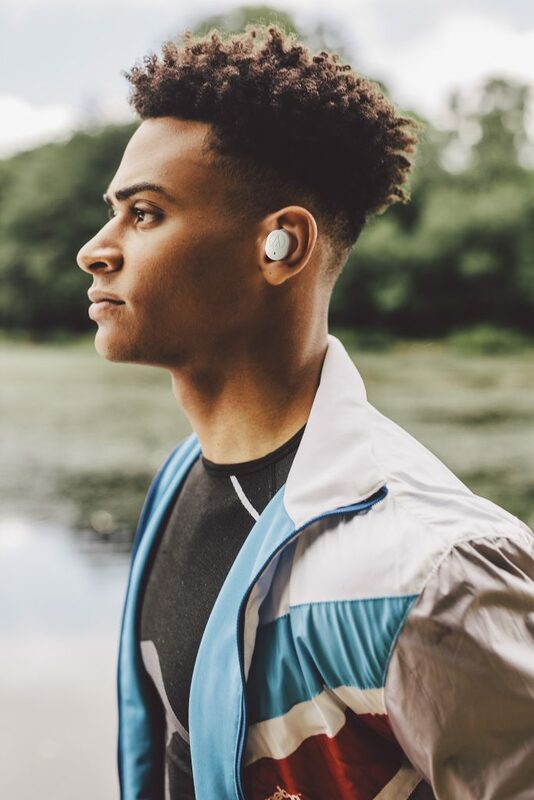 These bad boys are not only certified for sweat resistance, and they’ve also got a hear-through audio mode so you can remain aware of your surroundings when running outside. This is adjustable at different levels so you can really vary exactly what you are hearing whilst you exercise. These are without doubt our favourite headphones so far, and we would encourage you to try them if you are looking for a new set of headphones for exercise. They are versatile, comfortable and really handy to transport around or keep in your gym bag. At $299 they are not the cheapest on the market, HOWEVER, they are worth every cent and in our opinion, you won’t be disappointed with your purchase.